I surprised myself the other day with an unconscious and completely rote action designed to protect my “cool” as if I were back in high school expecting to be judged on my every move. I had ordered two CDs which, given my current overseas assignment, arrived via mail to my place of work vice my home. I took the envelope to my office to open it, admired my newest acquisitions, and then placed the CDs on a corner of my desk, taking care to put Motörhead’s Bad Magic on top of REO Speedwagon’s You Can Tune a Piano, But You Can’t Tuna Fish. Almost immediately after doing so, I realized that I had placed the CDs in that way purposefully, albeit automatically, so that passersby would see the Motörhead and judge me edgy rather than glimpse the REO Speedwagon and deem me lame. I laughed at the silliness of a 50-something ridiculously still motivated to hide parts of his true self in order to fit in with the cool kids. Even so, I nonetheless absolutely left the Motörhead covering the Speedwagon throughout the remainder of the day. REO Speedwagon became anathema to me and my rocker friends in 1980 following the release of their gazillion-selling LP High Infidelity with its more pop-oriented, power ballad-laden sound as compared to the band’s earlier offerings. Having so many girls and parents singing along to the multiple hits from the album as they played on a seemingly endless loop on Top 40 radio was too much for our earnest hard-rock sensibilities. REO Speedwagon was dead to us. You might as well have asked us to listen to Captain & Tennille or Barry Manilow as publicly show any love for the Speedwagon at that point. 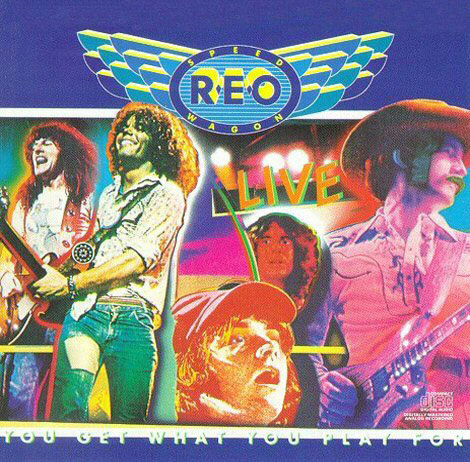 In the days before the great REO excommunication from the True Church of Real Rock, they had made what is, in my opinion, one the greatest live hard rock albums of all time; 1977’s Live: You Get What You Play For. I’d list it among the best live non-guitar-hero rock guitar records ever, filled to the brim with impeccable interplay between lead and rhythm guitar, unique electric fills, and mouthwatering solos all in service of an overall groove vice being crafted to steal attention. It is also one of the best mixed live albums from the era, with the recording and separation of the individual instruments and vocals accomplished in a way that emphasizes each individually without overwhelming or flattening the others. I have no idea whether any studio trickery was used to get the sound right or “fix” any performance flaws, and to be honest I don’t care. All I know is that this is an album that, especially on headphones, resonates with in-the-moment band chemistry. This is an optimistic album, with every song exuding happiness and hope, even in the face of difficulty. The lessons of “Any Kind of Love,” “Being Kind (Can Hurt Sometimes),” “(Only a) Summer Love,” and “Son of a Poor Man,” all of which are love songs about imperfect or finished relationships, are about finding and focusing on the good in the midst of bad moments. No regrets, laments, or depression here, rather the earned sadness is tinged with hope and gratitude for the silver linings. “Keep Pushin’” and “Riding the Storm Out” state it outright in their titles and then reinforce it ferociously in their execution; this is music that looks toward a welcoming, if hard-earned, bright future. Even the biting social commentary on our apathy toward the suffering of our human brethren in “Golden Country” is couched in an expectant message of faith in an ability to change for good. REO Speedwagon knows we can do better and honestly and compassionately expects nothing less from us. Another aspect of this album deserving praise is the excellent infusion of hard rock piano into many of the songs. Keyboard player Neil Doughty is great throughout, but it is when he sticks with basic acoustic piano that I find myself most moved. His tinkling of the keys on “Any Kind of Love” and “Keep Pushin’” demonstrate once and for all that thumping rock and roll piano didn’t stop with Jerry Lee Lewis and Fats Domino. I must acknowledge that mega-classic “Riding the Storm Out” deserves its own paragraph here. Like Lynyrd Skynyrd’s “Free Bird,” Danzig’s “Mother,” or Procol Harum’s “Conquistador,” this is a song for which the better-known live version so thoroughly crushes the studio counterpart that it might as well be considered a completely separate piece of art. 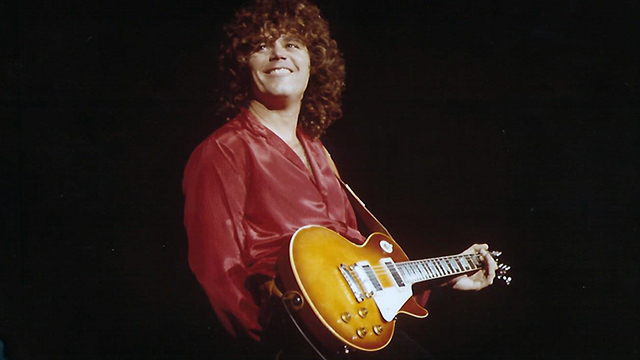 From the air raid siren opening to the ending cacophony, “Riding the Storm Out” is a master class in “Rock.” The simple, bombastic riff, sing-along chorus, uplifting lyrics, and the melodic-as-hell sizzling extended guitar soloing by Gary Richrath combine to make it the cultural touchstone I believe it has become for my generation. Hey, I was a big fan of REO Speedwagon too and that live album is a good one. 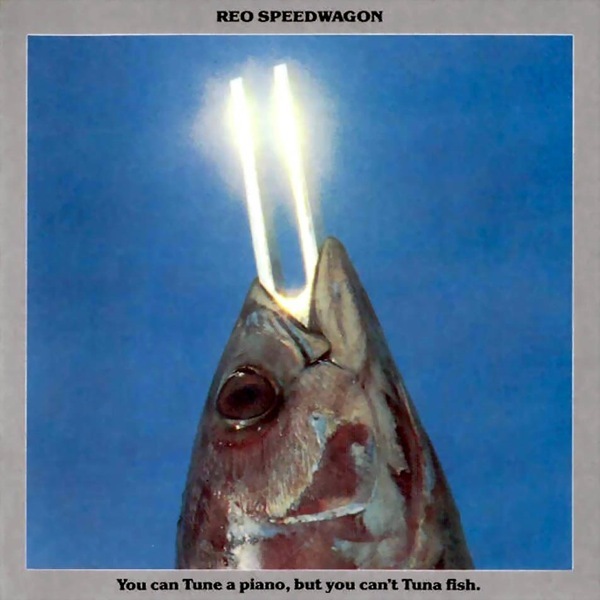 But so is “You Can Tune a Piano But You Can’t Tuna Fish.” However, my favourite REO albums was always “Nine Lives.” Gary is a very underrated guitar player. I’ll have to give Nine Lives a try; it comes in just under the wire before my High Infidelity mental barrier. I do visit the album on my blog if you want FFI on Nine Lives. When I was working at the record store, You Can Tune a Piano But You Can’t Tuna Fish was highly requested but NEVER seen as a used copy. Been listening to it a bunch since it arrived, and even beyond the excellent hits everybody knows, it is a great album. Not a band I know at all. The song you embedded sounds rather Meatloaf to me. Hope that’s not insulting; it’s not meant to be, just what me ears said. Can we hope for a Motorhead story soon? Ha! No insult. The only Meatloaf I have are the songs he sings on Ted Nugent’s Free for All. I’ve always thought my 70s rock collection incomplete because it doesn’t include Bat Out of Hell but I’ve never been able to convince myself to pull the trigger. Mr. Loaf will always claim much credit with me though for The Rocky Horror Picture Show, the just-plain-fun Paradise by the Dashboard Light, and an amazing sweat-drenched, stamina-draining performance on a Saturday Night Live episode I saw as a kid. Sadly, Mr Loaf’s stocks sank like a stone in Australia a couple of years back when he was booked to perform at the AFL football Grand Final (our Superbowl, I guess) and was horribly and rather pathetically out of tune. The pathetic part was that he was the only one of 100,000 people who seemed not to realise. Some performers just need to retire. End of story. Look forward to the Motorhead. Promise to listen to No Sleep ‘Til Hammersmith all the way through if you write one. 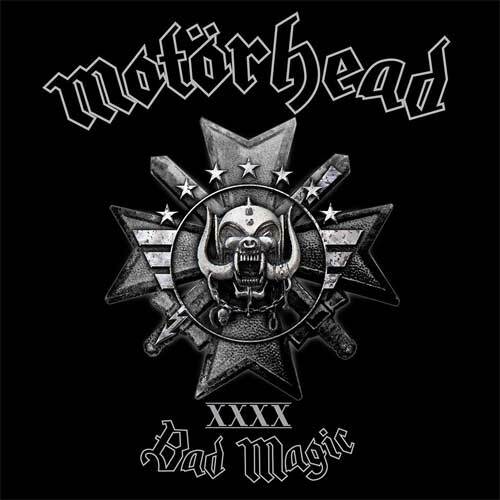 The new Motorhead album is awesome! REO Speedwagon is cool too. You should’ve put that one above the Motorhead one, definitely. I once felt the need to consciously place Neil Young’s Tonight’s the Night at the top of my Neil Young stack… But if you placed that pathetic yet somewhat deadpan Tuna Fish cover at the top, someone might have perceived it as a sarcastic joke (even though it’s a fairly solid album.) Kinda like slipping in a copy of Metal Machine music in with your grandma’s very favourite Mozart box set. Apart from a ubiquitous few mega radio hits I don’t really know REO at all, I don’t think they ever quite took over here. I think its very funny arranging the CDs like that though, I came into work wearing my iPod and someone asked me what I was listening to and so I said Mudhoney, rather than the Lady GaGa track I was enjoying – I did it totally automatically too, just a reflexive grasp at an idea of ‘cool’ – I’m pathetic. At risk of blasphemy, I do wonder at what point our attempts at “cool” will really only read as “old.” Answer: NEVER! Motörhead (and Mudhoney) are immortal cool, like the Highlander (except that there can be more than only one). Maybe we’re not pathetic; we’re just selectively private. Never really listened to Speedwagon. As you say, they were a bit too . . . pop. So, I guess I’ve missed out. I’ll have to get You Get What You Play For and give it a listen. As for cool, as you seem to suggest here, the real cool is knowing what you like and enjoying it, and not caring enough about others’ opinions to let them judge. Maybe if you had left the Speedwagon on top, you would have had the chance to give some kid some of what I just got from reading this. Now that I’ve written that, I’ll have to try to live up to it, I guess. Copyright Notice © victimofthefury, 2012-2018. Unauthorized use and/or duplication of this material without express and written permission from this blog’s author and/or owner is strictly prohibited. Excerpts and links may be used, provided that full and clear credit is given to victimofthefury with appropriate and specific direction to the original content; in fact it is enthusiastically encouraged. As warranted, non-original content from other sources will be cited accordingly.